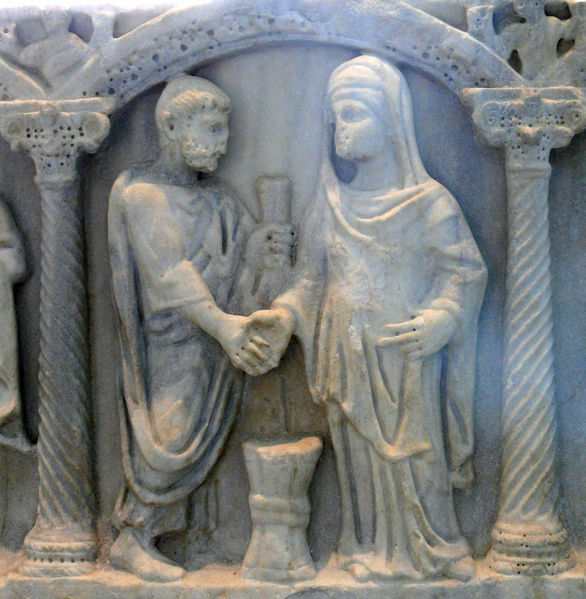 The Roman marriage was between a man and a woman. It may seem obvious but in the ancient world monogamy was definitely not the norm. In many of the ancient civilizations, men, and especially wealthy men, had many wives. Therefore, it is quite a remarkable fact that marriage was officially only between a man and a woman in the Roman (and Greek) world. It is worth noting however that Roman men were allowed to have a concubine. These concubines did not have the same rights as wives. Most marriages were not romantic but rather arranged between families seeking to maintain or improve the family wealth and social status. For the marriage to be legitimate, there had to be the consent of the fathers of both families unless one of the fathers had died or unless the man to be married was an illegitimate child. Marriages could not be forced by the fathers, they could just be annulled by them. The main purpose of marriage was to produce (legitimate) children and have a family. It is worth noting that in the Roman family, fathers had full powers over their children. This was called patria potestas. They could disown their children and even sell them as slaves. Before getting married, couples would first get engaged in an engagement ceremony where the groom would give his future wife an iron ring. Just like today, there was a religious ceremony but the religion being quite different from most religions today, the ceremony and the religious rites were also quite different! For example, on the evening before the marriage the bride would sacrifice her childhood toys to the lares, which were the family spirits. The marriage ceremony started with a procession led by the groom and going to the bride's home. The bride would be at her house wearing a simple tunica recta a white tunic, a belt which had a special knot called the nodus herculeus (which the groom would later have to undo), orange shoes and an orange wedding veil. The ceremony would start with an (animal) sacrifice to obtain the favor of the gods. Then there would be an exchange of gifts, a dowry agreed upon and a written marriage contract signed. The dowry given by the bride's family would often include jewelry, land, real estate, slaves, etc noting that the marriage was usually paid by the bride's family. The couple would then exchange vows and a large banquet would follow at the house. After the banquet, a procession would lead the bride to her new home. The bride would be carrying a torch with the earth of her old home. Once in front of her new home, she would be offered another torch and water. Attendants would carry her over the threshold of her new home so she wouldn't trip (which was considered a bad omen). The groom would then ask her for her forename. Since Roman women did not have forenames, she would respond: "Where you are Gaius, there shall I be Gaia". There would be another short religious ceremony in the new house. The next day there would be an offering to the lares and another smaller banquet for close relatives. Roman men could divorce their wives and fathers could not prevent such divorces. The reasons for divorce included adultery, infertility, getting drunk, making copies of the keys of the house, or simply not having the desire to be with the other person. Adultery was considered a sexual offense under Roman law but the strict punishments were rarely enforced. The Lex Iulia was a law introduced by emperor Augustus at the beginning of the Empire in part to punish adultery. For example, a wronged husband had the right to kill his wife's lover if he was a slave or an infamis. An infamis was a Roman citizen with no rights such as a criminal, an actor, dancer, a prostitute, gladiator, etc. By law, he then had to divorce the wife and charge the wife for adultery. A woman charged for adultery could not marry ever again. She would also loose part of her dawry. Under the Lex Iulia, the father also had the right to kill both his adulterous daughter and her lover. The Lex Iulia of 18 B.C. Roman citizens cannot marry the infames namely prostitutes, actors and actresses, gladiators, criminals. Freed slaves can marry Roman citizens but they cannot marry senators. Provincial officials cannot marry local women. Marriages to first, second or third cousins are forbidden. A wife found guilty of adultery in the special court called the quaestio is to give half of her dowry. Wives that commit adultery cannot remarry. A husband of a woman that commits adultery has the right to kill the woman's lover if he is a slave or an infamis. The father of a daughter that commits adultery has the right to kill both his daughter and her lover, but not only one of the two. Initially only men could divorce their wives but later during the Republic, wives could also divorce their husbands. 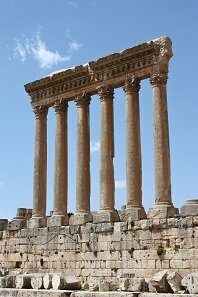 What is also dramatically different from divorce nowadays is that Roman divorces were not recorded or did not have to be approved by the Church or the State. This applied only to men however. Women had to get the approval of the State. There were no public records related to divorces. Women would marry quite early between the ages of 15 and 20 (it was forbidden to marry below the age of 12), while men would marry at around the age of 25. If the woman belonged to a rich family, she would usually marry very early (as soon as she hit puberty) and she would not choose her husband as marriages were arranged between rich families. They were also required to be virgins in order to get married. In the manus form of marriage, the man had full control over his wife and the wife became part of her husband's family, thereby loosing her inheritance rights in her old family but gaining new inheritance rights in her new family. The manus gradually disappeared by the Late Republic (147 – 27 B.C.) to be replaced by the sine manu form of marriage. In the sine manu (free) form of marriage, the wife remained a member of her old family and remained under the authority of her father. She did not get inheritance rights in her new family. It was very easy to divorce under this form of marriage. The monogamous marriage institution was later adopted by Christianity and is a reason why marriages today are monogamous in most of the Western world. Under Augustus, there were higher taxes on unmarried men and women, and many benefits for married couples with children. Adultery (for a man) was not considered adultery if it was with a prostitute or a slave. It was very common to remarry due to the high death and divorce rates in ancient Rome.